Below are some directions regarding adding a Feedbacklite widget into your Landing Page in 4 simple steps. First, log into your Feedback Lite account and open the Campaigns menu from your dashboard's navigation. 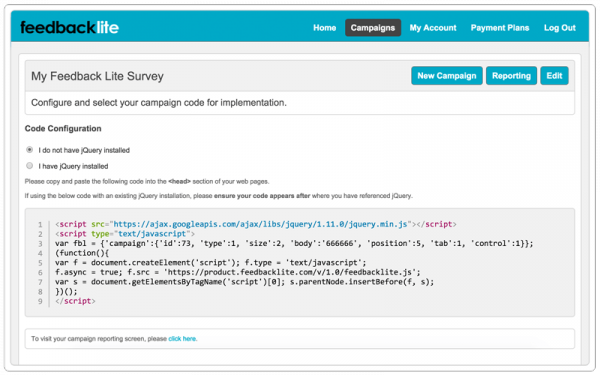 Next select the feedback campaign you would like to use on your Lander landing page, then click “Code” to access your campaign code snippet you’ll use on your landing page. Now that you've copied your Feedback Lite campaign code, it's time to log into your Lander account. Once logged in, select the Landing Page where you want to include your survey and then click "Go to the Editor". Now that you’ve accessed the editor of your Landing Page, you need to look over on the right-hand-side for a section called “Properties”. Once you find it, scroll down to the bottom to find the script section entitled “Scripts”. Now it’s time to copy the script from Feedback Lite and paste it in the “Head” section under “Scripts”. Once you’ve successfully pasted the code snippet in that section, it’s then time to save your changes. 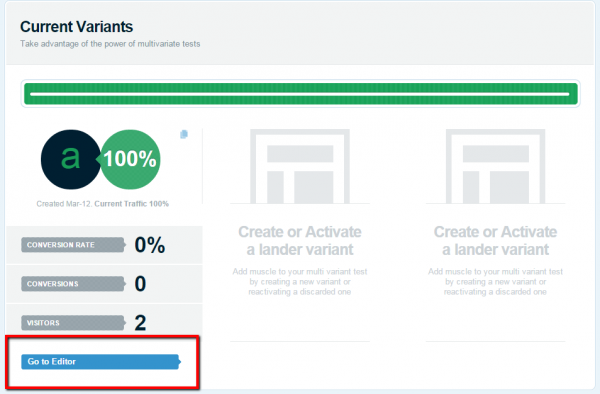 Now you’ll need to publish or republish your Landing Page to finish this process. 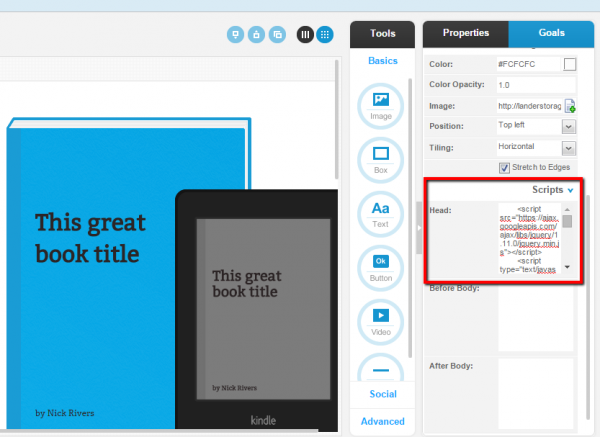 To do that just click “Finish” on the top right of the editor and return to the Dashboard of your Landing Page. 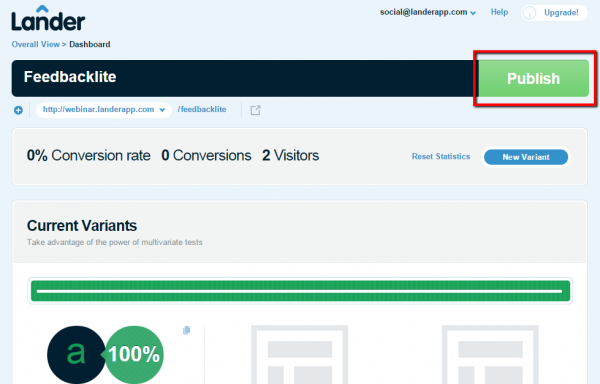 Then, once the dashboard opens, just click on the big green button on the top-right called “Publish” and your Landing Page integrated with Feedbacklite will be ready to go live! Yes, very helpful. No, I couldn’t find my answer.